A real value in a light duty 6mm caliber blank gun. 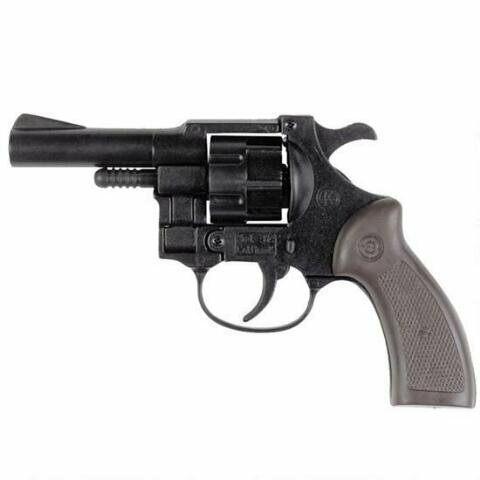 The styling and heft make this starter gun handle like a conventional cartridge revolver. Made up of a solid barrel with a red plug to identify that it is a safe barrel. Loads seven crimped 6mm acorn blank cartridges. Double and single action.